In an oven safe baking dish combine broccoli, cauliflower, garlic, and shallot. 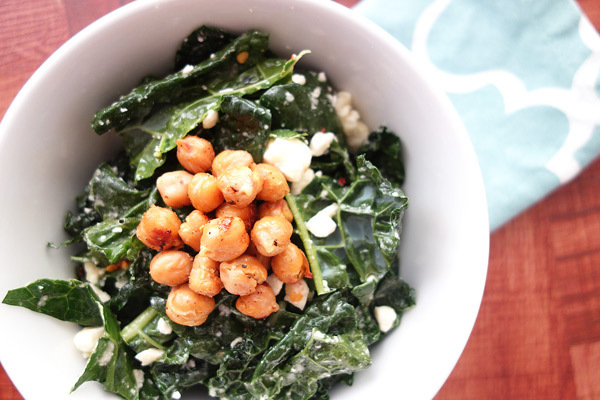 This New Years Resolution-worthy kale salad is one of my favorite quick dinners. It is healthy and the roasted chickpeas make it filling. Not to mention the fact that the roasted chickpeas are an addictive snack on their own. The spiciness of the red pepper flakes add just enough of a kick to balance out the feta cheese. One night we made this chicken and white bean chili after a long day on the slopes. This recipe made enough to feed six hungry adults, with some for leftovers. 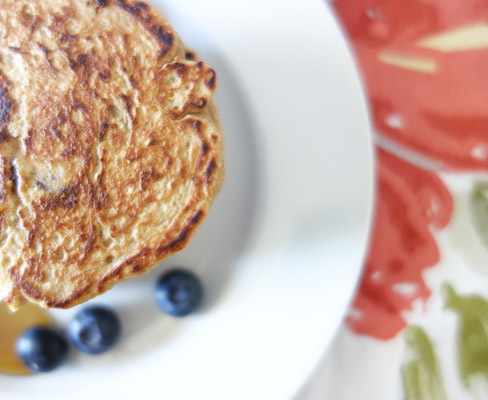 It is healthy and uses my favorite kitchen tool – the slow cooker. We served this chicken chili with the blue cornbread muffins.